Plus all the latest news from the world of Jane Austen, your letters, round-ups from the Jane Austen Society of the UK and the Jane Austen Society of North America, book reviews and quiz. 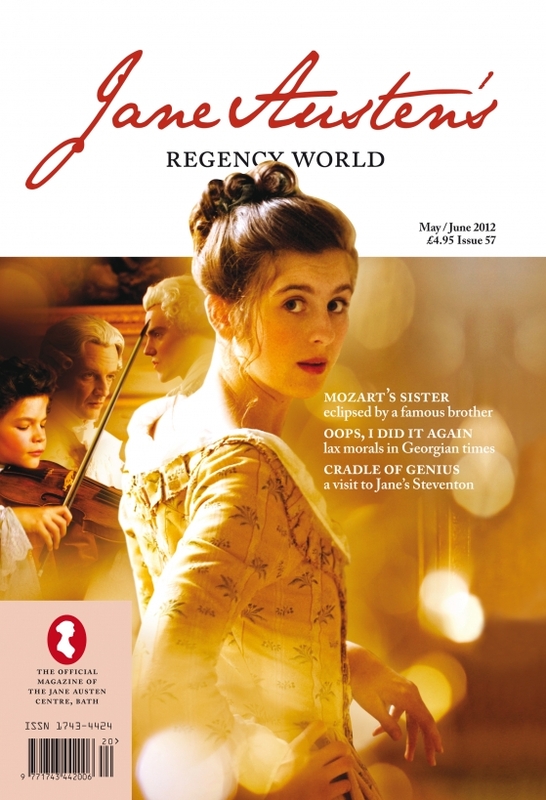 STOP PRESS… Watch out for our NEW website and BREAKING NEWS pages – coming soon to www.janeaustenmagazine.co.uk! In general the magazine is not available at newsstands, except at the JA Centre in Bath, but if you subscribe within the next month or so, you will probably receive this issue. Tell them the Editrix sent you!